"This is the first definitive Earth-sized planet found in the habitable zone around another star, " Elisa Quintana, of the SETI Institute and NASA's Ames Research Center and the lead author of a new study detailing the findings, said in a statement. 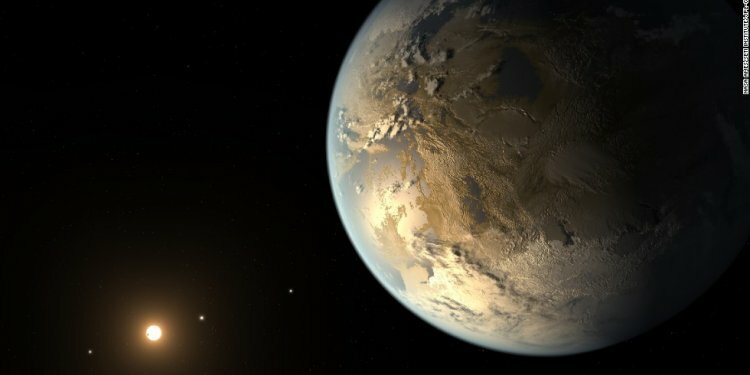 "This is an historic discovery of the first truly Earth-size planet found in the habitable zone around its star, " Geoff Marcy, an astronomer at the University of California, Berkeley, who is unaffiliated with the research, told Space.com via email. "This is the best case for a habitable planet yet found. The results are absolutely rock-solid. The planet itself may not be, but I'd bet my house on it. In any case, it's a gem." "What we've learned, just over the past few years, is that there is a definite transition which occurs around about 1.5 Earth radii, " Quintana said in a statement. "What happens there is that for radii between 1.5 and 2 Earth radii, the planet becomes massive enough that it starts to accumulate a very thick hydrogen and helium atmosphere, so it starts to resemble the gas giants of our solar system rather than anything else that we see as terrestrial."